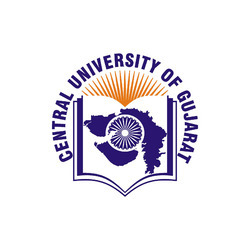 CU Gujarat Admit Card 2018 – Admit Card will be issued by the University only to those candidates who have will submit the Online Application Form complete in all respects on or before the last date of submission. The candidates are required to download their Admit Card from the Admissions Page of the University’s website: www.cug.ac.in. The Admit Card must be produced at the Entrance Test Centre along with a photo identity of the candidate issued by a competent authority. Those candidates who filled their application as per schedule are eligible to download the admit card. Candidates will be able to download it from the link that will be provided below or from official website www.cug.ac.in. Admit Card: Candidates will be able to download the admit cards from the official website www.cug.ac.in. The Hall Ticket must be produced at the time of entering the Examination Hall at the centre and later, when necessary, and also at the time of admission process. Candidates also advised to keep the admit card / hall ticket safely till the admission process is over. The Hall Ticket is not transferable to any other person. 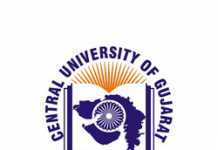 How to download the CU Gujarat Admit Card 2018? Visit the official website www.cug.ac.in or direct link that will be provided above. Fill the Registration No. & date of birth to download the Admit card. Take printout of Hall ticket and also save in pdf format for future references. Representatives of the University shall be available at the Examination Centre before the commencement of the examination and candidates facing problems due to non-receipt of Admit Card or on some other account are advised to contact the University Representative or the Presiding Officer of the Centre in order to avoid any last minute inconvenience. Please note that only those candidates, whose names appear in the Roll List available with the CUG Representative(s), will be allowed to appear for entrance examination. The University would assume no responsibility whatsoever in the event of failure to report on the due date and time by the candidate for appearing in the entrance examination. Choice of Test sessions – At the time of filling the application form, you are supposed to choose the subjects based on the sessions. The test will be conducted in 3 different sessions on a single day. You can choose the subjects you want to appear for in the multiples of 2 & 3 with a maximum of 3 sessions. The timing of the test can be checked in the Online Entrance Test Schedule published on the University website. Apart from this you also have to choose the preference of your Subjects you want to be enrolled with the University. The candidates appearing in the qualifying examination can also apply for online Entrance Test, but at the time of admission, he/she will have to produce the mark sheet/degree about their fulfilling the eligibility criteria. 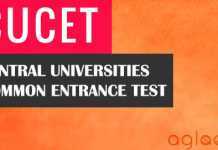 Mere appearance in the Entrance Test for securing pass marks at the online Entrance Test does not entitle a candidate to be considered for admission to the Course applied unless he/she fulfils the eligibility criteria/conditions. Minimum eligibility requirement are not fulfilled. False documentation has been done, or, facts have been suppressed. Any other similar valid reason. Question Paper pattern: – All Question Papers will be 100 MCQ with four options. Each paper will be only of two-hour duration. There will not be any negative marking. Applicants are required to have a valid personal email ID and mobile number which should be kept active during the entire admission process, so that the university may send alerts, important communications etc. regarding entrance test on them. As all communication will be made through email and SMS, please ensure that DND (Do Not Disturb) is not activated on your mobile.For Technical query reach us at 022-28475780.